MAKE THE RIGHT FIRST IMPRESSION. The 2019 Toyota Yaris is coming soon to West Kendall Toyota in Miami, FL – serving Coral Gables, Doral, Hialeah, Hollywood, Homestead, The Hammocks, Palmetto Bay, Pinecrest, Kendall, and West Kendall. For 2019, the Yaris family is expanding with three new grades, allowing you to get added features and updated designs. L and LE grades get a sporty style update with a new front fascia featuring a honeycomb grille. Higher grades offer advanced technology, such as Smart Key entry and push-button start for a seamless driving experience. The interior of the 2019 Toyota Yaris is more comfortable with cozy seating and available options like a leatherette trim. Technology is always at your fingertips with the beautiful, 5-inch touchscreen display. A responsive engine ensures that the Yaris is more fun to drive, giving you the freedom to go confidently. The 2019 Toyota Yaris will be coming to West Kendall Toyota soon, so sign up to get updates and be the first to know when it arrives. You can visit our dealership today at 13800 SW 137th Avenue, Miami, FL, to see our current Toyota inventory. 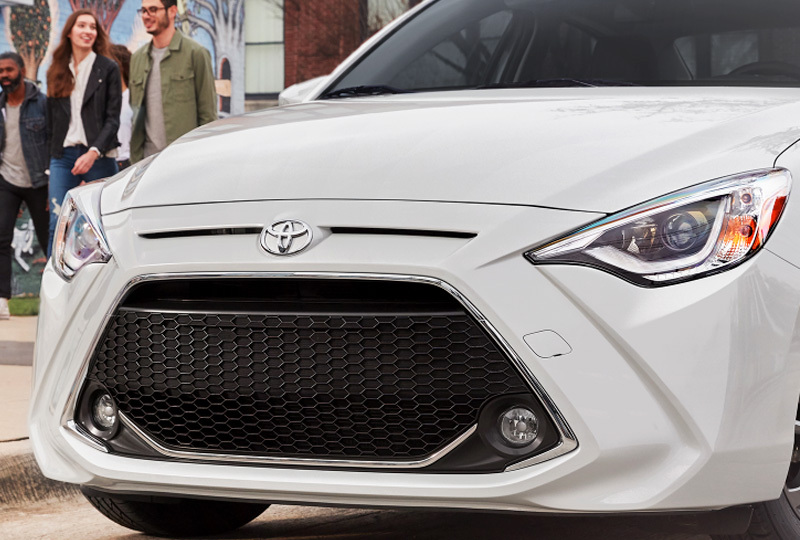 Yaris puts a premium on design with its all-new honeycomb grille, rear lip spoiler and available integrated fog lights. With room for five, a beautiful touch-screen display and available automatic climate control, this is one space where everyone will want to hang out.